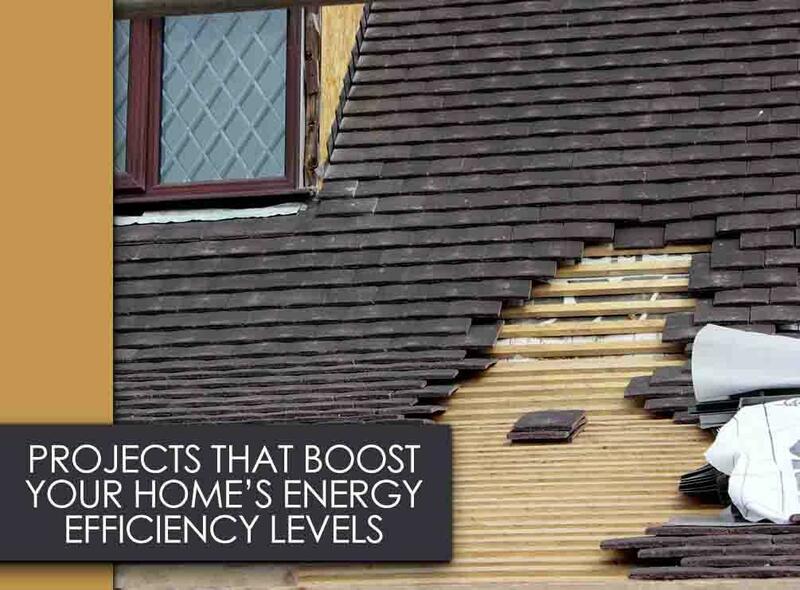 Working on energy-efficient projects offers many benefits such as increased comfort in homes and lower energy costs. As one of the manufacturer-certified roofing contractors in the area, Peak Roofing Contractors specializes in providing products and services that will enhance your home’s energy efficiency levels. Here are some of them. We offer different roofing materials that will help keep your home cool for more energy savings. Our metal roofs, for instance, feature highly reflective surfaces that will lessen the amount of the sun’s heat absorbed by your home. Being a GAF Master Elite™ contractor also lets us offer the brand’s Timberline® Cool Series® shingles that can help reduce air conditioning costs. In addition to these insulating qualities, they come with components that allow them to withstand even the harshest weather conditions for a long period. Aside from roofing, we’re also roofing contractors who can provide you with siding materials that will increase your home’s comfort levels. We offer insulated vinyl siding that features rigid foam insulation for superior thermal performance and reduced noise infiltration. In addition, they don’t require too much upkeep. In fact, you only need to wash them with mild soap and water to keep them clean, making them a low-maintenance option. With this, you will surely enjoy a cozier and quieter home. If you’re considering replacing your old windows, then you can count on us for reliable options. We have 8700 and 8900 window series that come with the brand’s standard argon-filled low-E glass for added insulation. They also have warm-edge insulated glass panels that contribute to the product’s overall energy efficiency. Like with any vinyl product, they come with low-maintenance properties. All of these products are available in an extensive selection of colors and design options that will enhance your home’s curb appeal. We are one of the roofers that you can rely on for a wide variety of energy-saving products and services. Peak Roofing Contractors strives to help homeowners enjoy a livable home. We serve Manassas, VA, and other the nearby Northern Virginia areas. Call us today at (703) 745-5153 for a FREE estimate.